Nintendo Direct: Monster Hunter Hype Train and Kirby Gets a Gundam?!? There was a Nintendo Direct that came out today after a surprise announcement last night. It was pretty boring. 45 minutes of game announcements (and many there were), release dates (Star Fox Zero FINALLY shows up on April 22nd), and surprisingly underwhelming big reveals (My Nintendo got a shout out and nothing more, and SNES games will be on Virtual Console for New Nintendo 3DS owners only. That’d be way more exciting if Nintendo took care of their Virtual Console…) made for a nice way to spend my evening (just kidding, I could have been playing Pokemon.) but I wanted more. In short, I’m not going to bother recapping this whole thing like I have previous Directs. I’m just going to focus on two things. 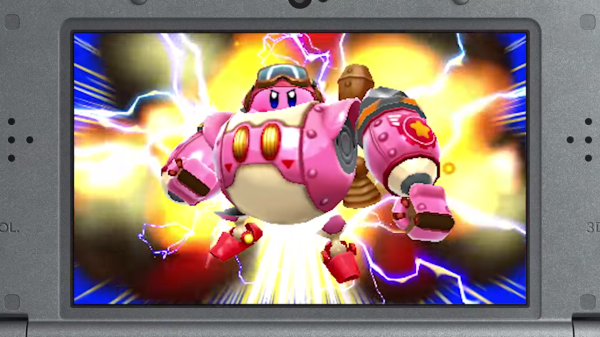 First, who put Kirby in a mech suit and why is this just a thing we’re doing now? 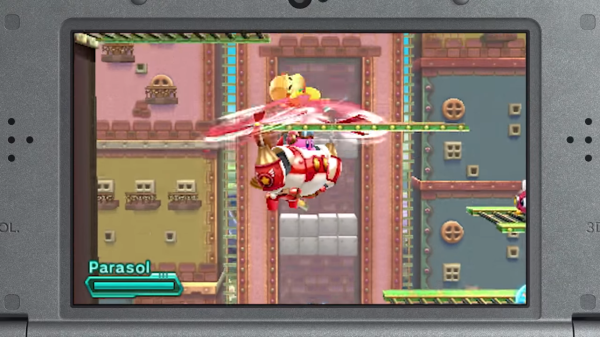 Basically, some evil robot empire is taking over Dream Land and Kirby has to save the day. Using their machines. Which also have copy abilities like Kirby. TREMBLE IN FEAR OF MY PARASOL ATTACK FORMATION! As per Nintendo fashion it has amiibo support, each figure giving random powerups unless you’re something like a Mario or a Link which gives you a Fire or Cutter power, respectively. 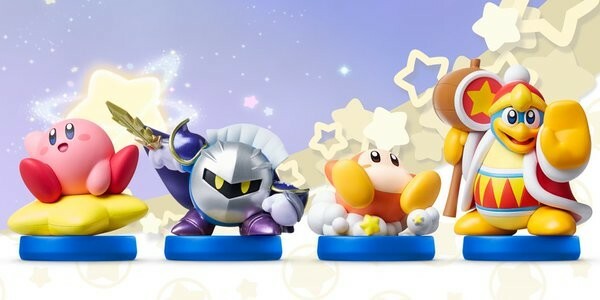 The Kirby amiibo gives you the Smash Bros power, something not seen since I believe one of the Game Boy Advance titles. Speaking of Kirby amiibo, he has his own line of figures coming out. Four currently, but don’t expect more – remember the Super Mario line of figures? Yeah, that didn’t go very far. Scanning them into the game will give you powers as well, but also with special skins to look like the amiibo character. Scanning the special Kirby line Kirby (that sounds funny) will give you the UFO powerup, my personal favorite. 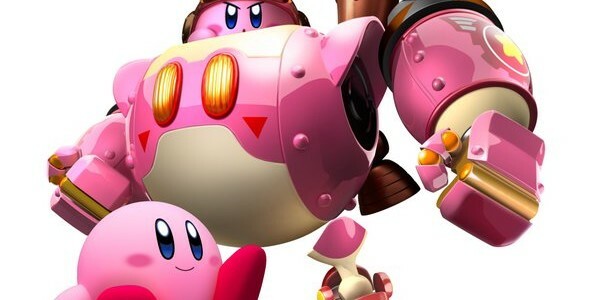 Kirby: Planet Robobot and the amiibo come out June 10. BUT MORE IMPORTANTLY, THIS SUMMER, IT’S HUNTING SEASON AGAIN. Fire Emblem is now in everything Nintendo does. How long before Marth or Ike get special cameos in Pokemon? Aside from the fact that Monster Hunter feels like the perfect game to me, I’m just happy about the new weapon mechanics. Maybe now people will stop laughing at me when I use nothing but the great sword in any and every hunt I do. Also I guess Lost Reavers looks cool but I’m wary of indie games of this genre ever since Heroes of Ruin on 3DS turned into such a colossal disaster. Don’t recognize that name? Good.